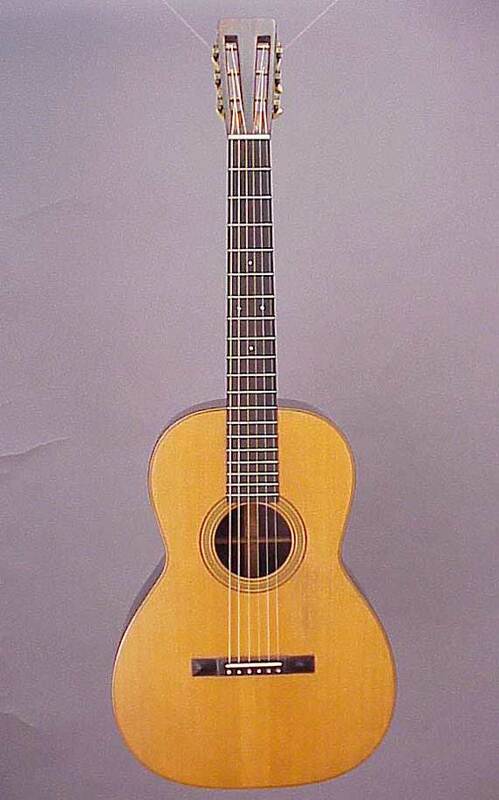 If there's a "most classic" style Martin guitar, surely the 00-21 is it! 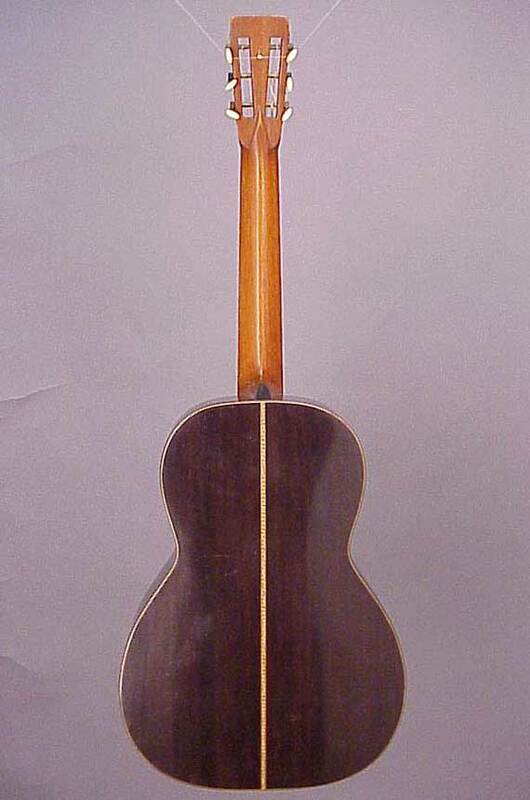 In continuous production from well before the Civil War until after the war in Vietnam, the 00-21 remained essentially the same, although it was modernized to accept steel strings in the late 1920s. 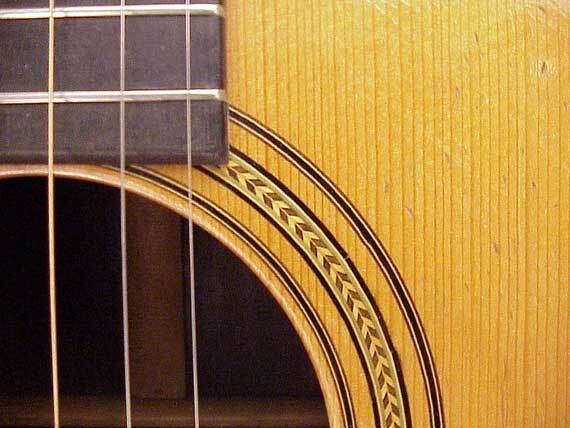 Its popularity peaked during the folk revival of the 1960s, after which it was deleted from the catalog. 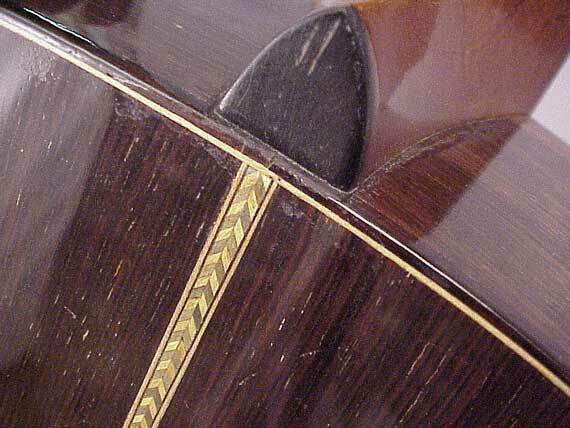 Now, it returns from time to time as a special "vintage reissue." 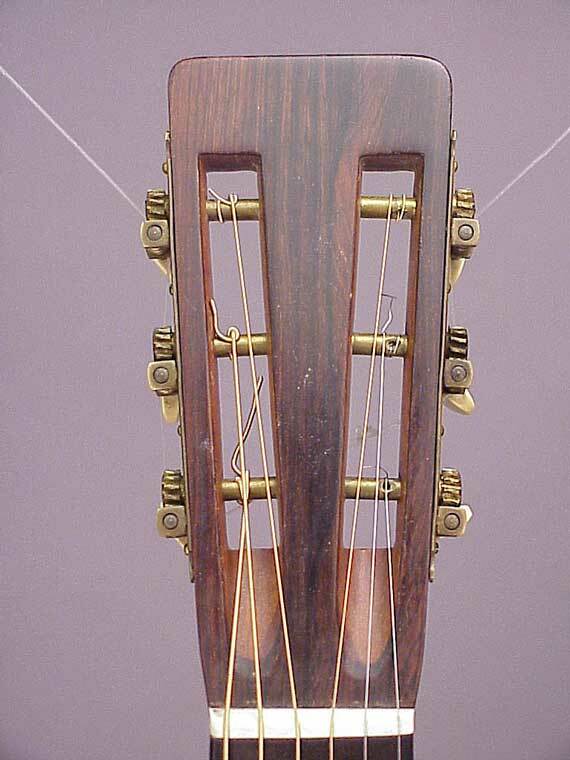 This particular example is a 1909 00-21 which was certainly made for gut stringing, as were all Martin guitars at the time. 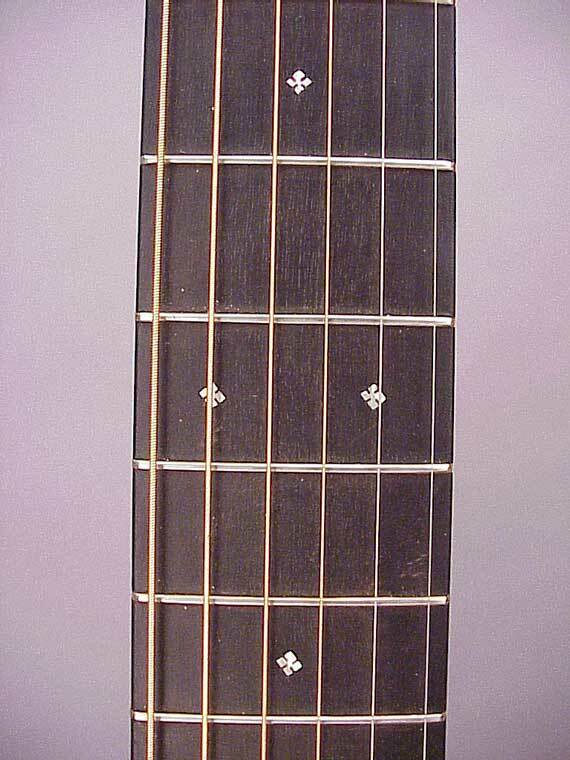 It has the conventional 12-fret neck and "long" body style typical of all the early Martins. 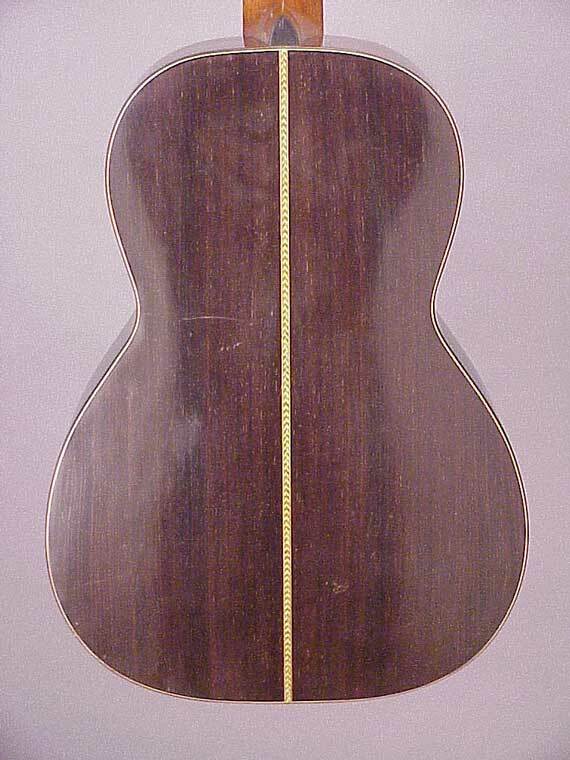 The body has rosewood back and sides with a spruce top, and modest bindings and purflings. 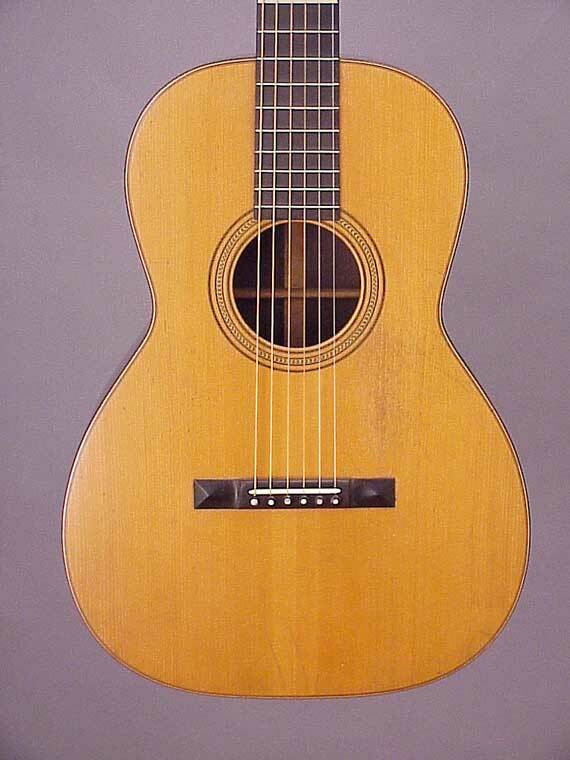 The 00-21 is still a favorite among fingerstyle players who prefer the slightly wider neck of the classic 12-fret Martin models.